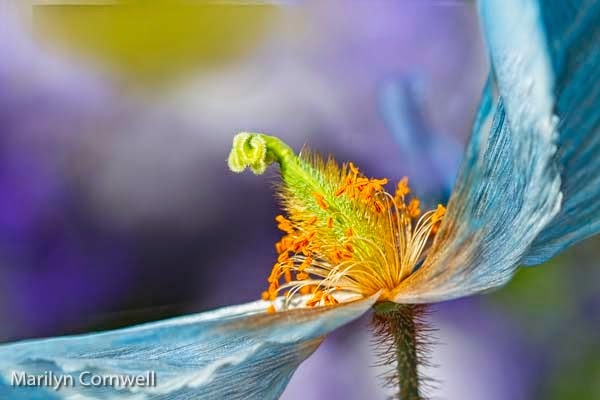 Meconopsis grandis, known as the blue poppy, is the national flower of Bhutan. In the late spring of 1922, a British Himalayan expedition, led by legendary mountaineer George Leigh Mallory, discovered the plant on their failed attempt to reach the summit of the then-unconquered Mount Everest. The flowers were introduced to much excitement at the Royal Horticultural Society's spring show of 1926. However, since they are difficult to grow, the species has become fabled over the decades. These pot-plants at Longwood were much admired last year.